"Working with the Sgt. D's Foundation for the past two years has allowed my Fraternity to be able to assist an amazing organization in bettering our surrounding community. Sergeant D's has set forth the perfect example for all those looking to assist the families that are in need right in our back yard. 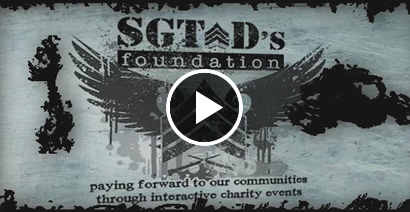 Alpha Sigma Phi at Grand Valley is proud to have been able to assist Sgt. D's with there various fundraisers as they provide a perfect combination of fun and hard work to help out those in need." It's been awhile since Sgt. D's Foundation has held any of our FUNd-raising activities, but we're back and ready to rock and roll! Get ready for a night of fun and excitement as the Sgt. D's Bowl-A-Thon returns once again to Clique Lanes in Grand Rapids! Since 2009, this event has been a huge success and tons of fun, and we look forward to seeing everyone again this year. Registration is only $25 for shoe rental, two hours of unlimited bowling, plus pizza, snacks, games and prizes! Read on for more information and to see what else the night has in store!